Theory and methods of innovative conception. PRESANS is sharing with you key notes from Erik von Hippel and Bernard Charlès. 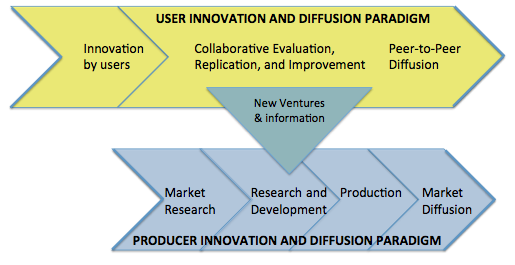 Erik von Hippel’s presentation was mainly focused on comparing the ‘user innovation and diffusion paradigm’ with ‘the producer innovation and diffusion paradigm’ shown in the figure above. According to Schumpeter, a producer plays central role to initiate economic change. Manufacturers were considering that they developed a new product, even though in some cases the users created a design for it! As producer can spend more money than any other user, it is often considered that producers are more innovative. Those assumptions represent a misunderstanding of sources of innovation. Eric von Hippel underlined that user innovations could present complements, but also substitutes to producer innovations and therefore user innovation impact should be introduced in the economical analyses. The interaction between two paradigms (in the figure above) he marked by an arrow (new ventures and information) that you could find out more in his recent paper. Eric von Hippelmentioned that we are now in the transition period, in the middle of a paradigm shift. 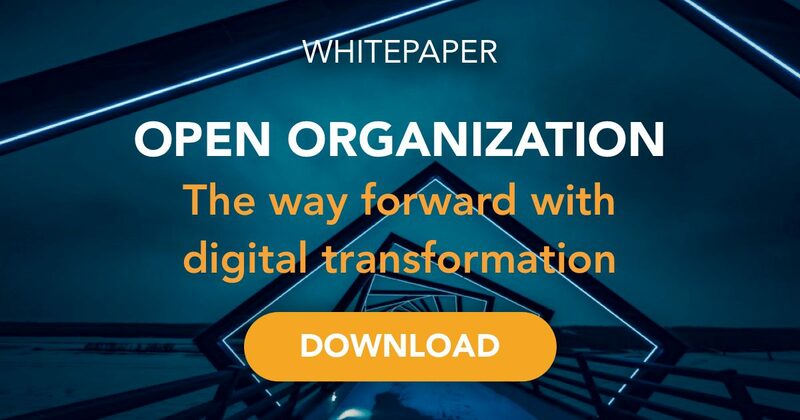 Therefore, in order to analyse more deeply the innovation process, it seems that companies should consider more deeply different sources of innovation. Bernard Charlès presented 3DExperience Platform that enables different actors, from designers, engineers, consumers, etc. to innovate together. This platform enables consumers to see the product effects before they buy it. Dassault Systemes are designing new approaches to the social company of future, where consumers would be more included in the innovation process. You can find more about 3DExperience Platform here. One of the interesting insights of the conference is that a multidisciplinary approach is important in order to be more innovative in each discipline itself. Many thanks to Eric von Hippel and Bernard Charlèsfor providing us with many foods for thought.